"Top Class, Middle Initial, Bottom Line"
There’s something alluring about James R. Kennedy - the suits, the shades, the charisma - but also something sinister. Seducing his clients with promises of wealth and power, the silken-tongued manager takes pleasure in building a dark loyalty among his followers. 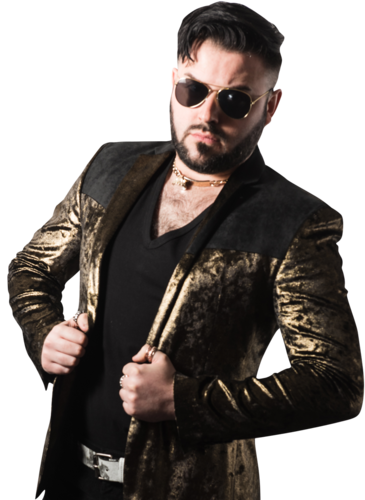 Now that influence has reached WCPW, and once penetrated the minds of Prospect. An ironic twist on their perceived status in the pecking order, the resourceful Kennedy successfully manipulated Alex Gracie and Lucas Archer to believe in his mantra. That has changed, but Kennedy did harness the power of Primate and will be looking to expand his sphere of influence. A word of warning to those in the locker room: when those sunglasses come off, don’t look directly into his eyes.